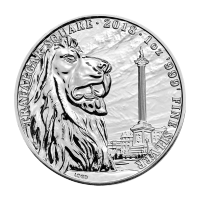 We are interested in buying precious metal bullion from you. When you are ready to sell or liquidate a portion of your portfolio, sell to us. Learn more here. In the event of a conflict between this general information and our Bullion Terms of Purchase, the Bullion Terms of Purchase shall control. 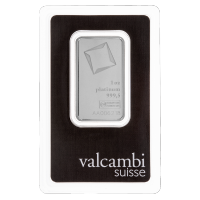 We purchase not only all the various bullion products we show for sale on our website, but also many other forms of precious metal not shown for sale. Please call us to tell us about the bullion you have for sale, so we can give you an assessment of your bullion, including whether we're interested in buying your bullion. When you sell bullion products to us you are responsible for all shipping and handling costs. We can assist in making shipping arrangements, however. Please call our bullion agents for help. Some restrictions may apply. We indicate sell prices on our website, but market movements may occur more rapidly than updates allow. Because precious metals prices change constantly, all orders must by placed by telephone so that prices can be locked in at the prevailing market. Prompt shipment is required; metals must be postmarked or shipped within two days of locking in your price. Upon confirmation of your sale to us, we provide you a confirmation number. In some cases when buying back large dollar amounts, a 10-15% transaction fee may be required at the time of booking. This fee will be returned with payment when the transaction is completed. Transactions of $50,000.00 or more are subject to approval by our bullion manager before completion. After we have confirmed your transaction via telephone, we will email you a copy of your purchase order. Failure by you to receive this email does NOT invalidate or otherwise cancel your transaction with us; you are still obligated to ship your precious metals in full and on time. You shall take all steps necessary, including updating address books and adjusting spam or junk-mail filters, to ensure that you can timely receive all emails from us, complete with any attachments, in furtherance of this Agreement. We reserve the right to reject any late or other defective package that doesn't comply with the terms of this agreement. All damaged packages will be refused for delivery and returned to the sender for inspection. You are responsible for filing any insurance claims that may be necessary. If your package is returned to you, you will need to contact the Bullion Department to arrange a reshipment of the items or liquidation of the transaction. We inspect each package as it arrives. If the items contained are not as represented by the seller we reserve the right to modify or liquidate the transaction as necessary. All products will be returned to the seller if the transaction is liquidated for any reason. We reserve the right to refuse any items that are damaged or worn in excess of the industry-accepted standards. We will contact the seller immediately if any discrepancy is discovered and every effort will be made to resolve the matter in a timely fashion. 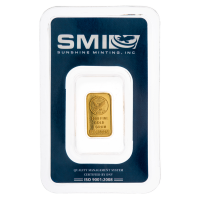 We reserve the right to have any non-standard precious metals products assayed for pureness. The seller is responsible for the associated fees for such testing. Fees associated with any transaction may be deducted from the total agreed-upon payment due to the seller. We pride ourselves on reputable service and our integrity in the marketplace. We have no hidden charges or fees and we would like to be your bullion dealer in the future, and work hard to make that happen. Bullion Market Price and Availability Change Constantly / Silver Gold Bull Sets Bullion Purchase Price. The parties agree that the bullion items we offer to buy are commodities traded on various markets, and that the market price of such types of bullion change constantly with supply and demand. We alone shall set the bullion purchase price for all bullion that we offer to purchase. Bullion Trading by Telephone on In-Person Sales at Silver Gold Bull's Office Only. All bullion trading done by us shall be done only by telephone or in-person sales at our office in Calgary, Alberta. From time to time, trading activity in the bullion market may be very high which may interfere with a Seller's ability to contact us by telephone to conduct bullion trading. Nonetheless, we shall continue to conduct bullion trading only by telephone, or through the website. We do not accept or conduct any bullion transactions through any other means other than by telephone or online requests. Placement of Transaction Creates a Binding Agreement. The parties agree that we are a leading bullion dealer in the bullion market with the substantial need to maintain our good name and competitive position; and further that we are entitled to rely on the verbal promise from you to sell and complete the delivery of your bullion. In furtherance of this, the parties agree that your placement of a bullion sale with us creates a binding legally enforceable agreement in which you agree to sell your bullion to us. You shall not thereafter cancel any transaction before making delivery in full. 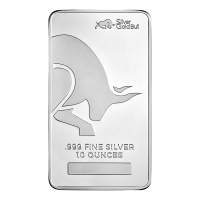 Email Confirmation and Purchase Order / Seller to Allow Emails from Silver Gold Bull. After you've placed your telephone sale, we will send you a note confirming your sale and a purchase via email. Failure by you to receive any of these does NOT invalidate or otherwise cancel your sale with us; you are still obligated to deliver your bullion in full and on time. You shall take all steps necessary, including updating address books and adjusting spam or junk-mail filters, to ensure that you can timely receive all emails from us, complete with any attachments, in furtherance of this Agreement. Credit Card to Secure Price Lock / Charges for Unfulfilled Orders. You consent and agree that we may keep a recording of your sale transaction to verify the terms of your sale; aid in training, auditing, or quality control; comply with any laws as now exist or may hereafter exist; or for any other reason reasonably related to the business of dealing in bullion. Payment shall be in U.S. funds or Canadian. Payment will be issued to you by mail within two business days of our receipt of the metals received through the mail or a third-party carrier. If you deliver your metal in-person, you must deliver the metal to us within 5 business days of the transaction, and payment will be made to you upon delivery. Standard payment is made by business check mailed to the address you provided at the time of the transaction. For an additional $35 fee you can request our check be sent to you via overnight courier. A physical address is required for this type of delivery. You shall promptly ship all bullion within two business days of the transaction, (5 business days for in-person transactions). Packages must be received by our office no later than ten business days following the transaction date. You are responsible for all costs associated with shipping your metals to us. We are not responsible for any lost, misrouted, or damaged packages. We recommend that you register and insure your package. Right to Reject Any Late or Defective Package. We reserve the right to reject any late or defective package that does not comply with the terms of this agreement. Packages must be postmarked within two business days and arrive to us no later than 11 business days following the transaction. All damaged packages will be refused for delivery and returned to the sender for inspection. You are responsible for filing any insurance claims that may be necessary. If your package is returned to you, you will need to immediately contact the Bullion Department to arrange a reshipment of the items or liquidation of the transaction. Failure to contact the Bullion department to make arrangements will result in your transaction being involuntarily liquidated on the 11th business day following the original transaction. Packaging of Bullion for Shipment. Except for in-store deliveries to us, you shall package all metal being shipped to us consistent with our Packaging Guidelines. Additionally, you shall fully insure your package for delivery, and provide us a detailed packaging slip which shall include at a minimum an itemized description of the contents of the package, your name and your telephone number. While normally free of GST, Canadian shipments nonetheless require proper forms to clear Canada Customs. As the shipper you are responsible to properly complete all necessary forms, and provide any additional documentation. Please check with your carrier to insure that all forms are completed and provided at the time of shipment. The Canada Customs forms can be found through the Canada Customs website. Involuntary Liquidation of Your Order for Failure to Deliver. If you fail to deliver in full and on time as stated herein, we shall involuntarily cancel and liquidate your bullion sale as of the 11th business day after your transaction date. We will charge your credit card depending on how the market has changed since you placed your order. Market loss or gain is calculated as the difference between the original purchase price, and the bullion London Fix closing price on the 11th business day after your transaction date. 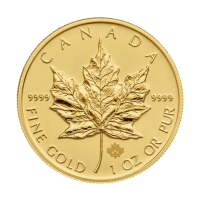 A $50.00 cancellation fee; plus the market difference on your order computed at the closing price for your bullion on the London Metals Market Fixing for the 11th business day after you placed your order. A $50.00 cancellation fee; and you will not benefit from any difference in the market price. Right to Refuse Service to Anyone. Right to Correct Erroneous Orders. We reserve the right to correct any sale for obvious errors or computer-related problems. We will make a good faith effort to notify you of any correction of your order. Right to Cancel Any Pending Sales. We reserve the right to cancel any pending sale at any time for any reason. If we exercise this right, we shall cancel our purchase of your bullion; we shall notify you of the cancellation and return any bullion or the current cash equivalent you may have delivered, less any costs and fees associated with cancelling your order. In furtherance of this, you agree to immediately refund any monies we may have paid. Right to Change Bullion Terms of Purchase. We reserve the right to change this Agreement at any time without notice. Right to Withhold Shipment for Unpaid Multiple Orders / Right of Offset. In the event you place multiple buy or sell orders with us and do not fulfill said orders according to the terms and conditions herein, we reserve the right to withhold shipment or payment of any orders that have been paid or delivered by you, until the unfulfilled orders have been resolved to our satisfaction, including the Right of Offset. The 'Right of Offset', shall mean our right to apply any customer's paid order's proceeds and/or product against any of that customer's other unfulfilled order's proceeds and product. If the customer shall thereafter have a net balance owed to us, we may thereafter involuntarily liquidate the remaining net balance owed as provided herein. If the customer shall have a net balance remaining for shipment or payment, then we shall ship the remaining portion of the order or send payment as provided herein (Paragraph 11, 'Involuntary Liquidation of Your Order for Failure to Deliver'). Unless some other time-counting mechanism is expressly stated herein, the first day for computing the time period shall be the first business day after the respective transaction. If the last day shall fall on a weekend or federal holiday, or any day the London Metals Market Fixing is closed, then the last day shall be moved forward in time to the first day that is not a weekend, federal holiday or any day the London Metals Market Fixing is closed. This Agreement shall be construed under the laws of the Province of Alberta. Our liability for any bullion sale shall not exceed the amount we agreed upon to purchase your bullion. We shall not be liable for indirect, incidental, additional, punitive, exemplary or consequential damages, even if we have been advised of the possibility of such damages. We shall not be liable for any delays or failures in the transmission, receipt or execution of orders, payments, deliveries, or information due to the incapacity or failure of computer or communications equipment or facilities which are outside our control. Any prevention, delay, or stoppage in our performance of any term hereto due to strikes, lockouts, labour disputes, acts of God, inability to obtain labour or materials or reasonable substitutes thereof, governmental restrictions, regulations or controls, the suspension by commodity exchanges in the trading of gold, silver, platinum or palladium futures contracts or the delivery of the commodities underlying such contracts, or the failure or delay of vendors, enemy or hostile governmental action, riot, civil commotion, fire or other casualty, and other causes beyond our control, shall excuse our performance, and extend our performance of our duties and responsibilities hereunder, for a period equal to any such prevention, delay or stoppage. 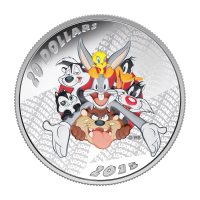 This Agreement constitutes the complete and final expression of the agreement between the parties relating to the sale of bullion, and supersedes all prior or contemporaneous contracts, agreements, understandings and representations of the parties, either oral or written, relating to the sale of bullion. If either party shall retain an attorney to enforce their rights hereunder, the prevailing party shall be entitled to recover all reasonable costs, expenses, and attorney fees. EXCEPT FOR EXPRESS WARRANTIES CONTAINED HEREIN, WE DISCLAIM ALL IMPLIED WARRANTIES OF EVERY KIND AND NATURE, INCLUDING SPECIFICALLY THE IMPLIED WARRANTY OF MERCHANTABILITY AND THE IMPLIED WARRANTY OF FITNESS FOR A PARTICULAR PURPOSE AS TO ALL BULLION SALES. We may assign or transfer any of our rights, duties, and responsibilities hereunder, or any interest therein, without notice to you; to any entity controlled by us. You may assign or transfer any of your rights, duties and responsibilities only upon prior written notice to us, and provided that you shall not be relieved of any liability under this Agreement pursuant to such assignment or transfer. Written Modification / Waiver of Terms. We reserve the right to modify or amend the terms of this Agreement at any time without notice. You shall not modify or amend the terms of this Agreement except by prior written agreement with us. Each and every provision of this Agreement shall be binding upon and inure to the benefit of the parties hereto and their respective heirs, personal representatives, successors and assigns, subject at all times to all provisions and restrictions elsewhere in this Agreement. Except as expressly provided herein, nothing in this Agreement is intended to confer on any person, other that the parties hereto and their respective heirs, personal representatives, successors and assigns, any rights or remedies under or by reason of this Agreement. Plural / Singular and Gender. Unless some other meaning and intent are clearly apparent from the context herein, the plural shall include the singular, and the singular shall include the plural; and masculine, feminine and neuter words shall be used interchangeably. The captions shown in this Agreement are for convenience or reference purposes only, and shall not, in any manner, be utilized to construe the scope or intent of any provision hereof. If any provision of this Agreement, or the applicability of any such provision to a specific situation, shall be held invalid or unenforceable by a Court or adjudicating body of competent jurisdiction, such provision shall be modified to the minimum extent necessary to preserve the intent and spirit of this Agreement, and to make it or its application valid and enforceable, and the validity and enforceability of all other provisions of this Agreement and all other applications of any such provision shall not be affected thereby.